The plastic bag charge could be the thin end of the wedge for deposit schemes for packaging. First it was plastic bags, next plastic bottles or disposable coffee cups could be subject to a 5p levy. A new study has found shoppers are more willing to support a deposit scheme on plastic bottles to reduce litter. As packaging PR and marketing specialists we look at the research and consider the merits of such a scheme. Nine in 10 shoppers in England now use their own carrier bags following the 5p Government levy introduced a year ago. Around 90% of people take their own bags with them when food shopping, up from 70% before the charge on single-use plastic bags was introduced on October 5, research from Cardiff University shows. Only one in 15 shoppers (7%) now regularly take single-use carrier bags at the checkout, compared with the one in four before the charge. Support for the charge has risen from 51% to 62% since its introduction. 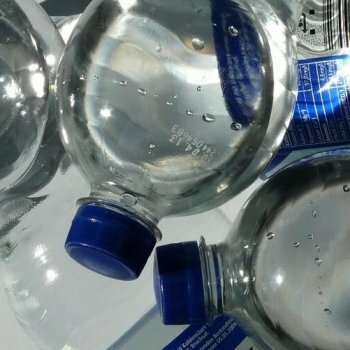 There’s also been an increase in support for other potential waste reduction charges, such as a deposit on plastic bottles. The report claims the charge has made shoppers “stop and think whether they really need to use a single-use plastic bag for their shopping”. Professor Wouter Poortinga, who led the research, said: “Overall, our research has shown that the English carrier bag charge has had a strong and positive impact on people’s attitudes and behaviours and that it successfully disrupted people using plastic bags. “We’ve seen that the charge has become increasingly popular with the English population since it was introduced, and that it has changed attitudes towards waste policies as well. It’s great news that we are using less plastic bags. But there’s a fundamental difference between single use bags and packaging. For a start, plastic bags are reusable. They do not need to be reprocessed to be reused. Also, we all have a fair few knocking around the house, so we have no excuse for not reusing them. Packaging is different. Whilst there are lots of good environmental reasons for reducing use of plastic, a levy would not achieve this objective. For a start, plastic bottles and disposable coffee cups, in fact nearly all packaging cannot be reused as it is designed for single use for good reason. All packaging used for food stuffs, even returnable packaging, cannot be reused without first being collected, cleaned, refilled and resealed. The old deposit scheme on glass bottles didn’t pay for recycling, it funded this reuse process. Deposit schemes are no more because the waste management, recycling and packaging industries have established that it is more economical, environmentally friendly and safer to make new packaging from old packs. Steel, aluminium and glass have well established closed-loop recycling systems. Paper uses a high proportion of recycled content. Whilst plastic has a long way to go to catch-up products, like rPET are now well established. Yes, a deposit free reuse system still works for milk bottles, because they are delivered and collected by the same person. But if consumers’ environmental concerns trumped price, there would still be a lot more milk men on our streets. Secondly, a levy is inequitable. In most cases, consumers do not have the option to choose between a product in a plastic or glass bottles, a paper carton or a metal can. That’s because the retailer won’t stock the same item in so many formats. The consumer is being penalised not the retailer or the brand owner. As specialists in packaging marketing and PR, we have said many times that the in order to resist this type of proposal, the industry needs to do more to demonstrate the positive environmental contribution that packaging makes in protecting and preserving valuable food, as well as reducing food waste. The industry also needs to demonstrate how much it does to reduce packaging as well as fund and facilitate recycling. Circular Economy thinking will ultimately be converted to circular economy actions. When this happens, there may be a case to be made for a levy on materials that do not meet circular economy practices. This would best be achieved by some form of carbon-based taxation system. Until that time, well intentioned, but ultimately misguided, attempts to impose a levy on coffee cups or plastic bottles should be resisted.